How much protein	do i need? When'sthe best time for protein? Protein is an essential part of a healthy, balanced diet and ideally should be spread across the day to form part of each meal. 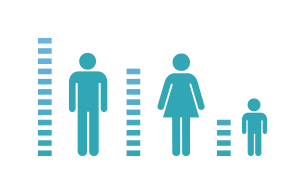 We all know that breakfast is the most important meal of the day, but many Australians are only getting 15% of their total daily protein intake at breakfast time*. Thankfully a little change, such as swapping your milk, can change a lot when it comes to spreading your protein intake across the day. 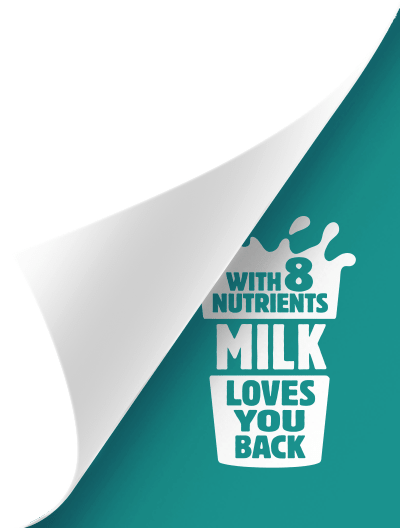 Complete Dairy High Protein milk offers a high protein option that can be enjoyed just like your regular milk - on your breakfast cereal, in tea or coffee, in a smoothie or in your favourite recipe. With 15g of WHOLE PROTEIN per 250mL glass of Complete Dairy High Protein light milk and Complete Dairy High Protein full cream milk, Complete Dairy High Protein milk is an easy way to get more protein into your morning routine to se the tone for a nutritonally balanced day. It's fresh milk you can enjoy just like your regular milk - with your breakfast cereal, in tea or coffee, or in your favourite recipe, but with 70% more protein than regular full cream milk which contains 3.4% protein. Protein is an essential nutrient that, as part of a healthy balanced diet, plays an important role in growth and development, and maintaining muscle & bones. The building blocks of protein are amino acids. And while many amino acids are made naturally by our bodies, others need to be regularly consumed as part of a healthy balanced diet. Dairy foods are a complete protein, containing all the amino acids that our bodies need. The amount of protein you need depends on a number of factors, including how old you are, your activity level and whether you're female or male. 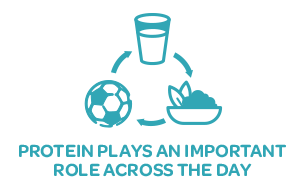 Protein plays an important role across the day, and ideally should be part of each meal in a healthy, balanced diet. Including protein foods at each meal or snack is a simple way to spread your intake across the day. Milk is a great example - it can be enjoyed with cereal, in tea or coffee, smoothies, or in cooking. A little change, such as swapping to a higher protein, all-natural milk like Complete Dairy High Protein milk, can be an easy way to get more protein into your morning routine to set the tone for a nutritious balanced day.